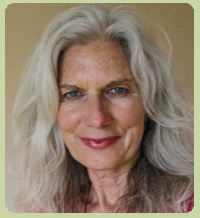 Patricia Brown began teaching yoga in 1981, offering a path to what lies beneath the surface, creating a sacred environment to explore through asana, pranayama, sacred movement, meditation, and breathwork, the ease, openness, compassion and inherent wisdom of Divine Love that is our true home. Her interest and teaching offers a self-referred, intuitive sensing of our original essence and an embodied inquiry into the pulse and interplay of form and formlessness thru present moment awareness, inner listening, attuning to the felt sense, becoming aware of and releasing self limiting patterns, and learning to invite and attune to a heightened energetic vibration for health, well-being, and spiritual sustenance. Patricia creates a sacred container for a deeply self-referenced exploration and acts as a facilitator to the vast resource of the mystery beyond form, the boundless bliss and Embodied Awareness of Divine Love. Studies in Ayurveda, Somatics, and Source Point Therapy energy work as well as work with Peruvian shamans all inform her teaching. Patricia is a student of Advaita, the non-dual tradition of Ramana Maharshi, and has sat with many teachers of this tradition, which offers self-inquiry as the path to understanding that we are Divine Love. The profound influence of Breathwork, cultivated over many years beginning 35 years ago with pranayama practices, Middendorf Breathwork, and Holotropic Breathwork, and more recently Osho Diamond Breath Training, and Quantum Light Breath, offers avenues for healing, insight, embodiment and integration of our fullest potential and the direct experience of the magnificence that we are. The inspiring work of Dr Joe Dispenza, rewiring the brain and creating new neural pathways by opening to the quantum field, is being deeply transformative to her personal understanding and teaching, furthering the direct experience and joy of opening to the the vast unknown while integrating this energy into daily life. 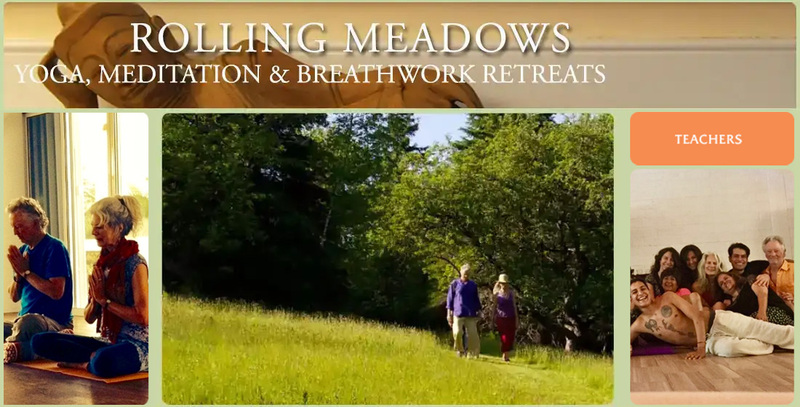 Patricia was one of the first yoga teachers in Maine and also in the international yoga retreat movement in the early 1990’s, developed Body Prayers, Yoga and Meditation Silent Retreats for Women in 1991, led Body Prayers Yoga Teacher Trainings, has taught self-inquiry through meditative movement and Breathwork, and co-developed Rolling Meadows Retreat Center in Maine with her husband Surya Chandra Das, and continues to offer retreats in Maine and internationally. Surya-Chandra Das began studying hatha yoga and meditation in 1988 and has taught classes and yoga retreats since 1990. 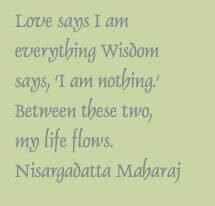 His teaching of yoga asana and pranayama is influenced by his studies with T.K.V. 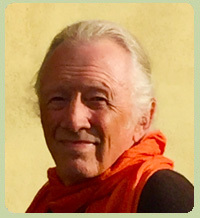 Desikachar in Madras, India,Victor van Kooten, Angela Farmer, Richard Miller, a variety of teachers in the Iyengar tradition and the teachings of yin yoga. Studies in Authentic Movement, Breathwork and Continuum Movement have contributed to his interest in exploring the formless contained within the form of yoga postures. Surya has also been influenced by the teachings of Jiddu Krishnamurti, who stressed the need for each individual to directly discover their own truth without dogma, ritual, or technique. Surya has also been studying with Dr. Joe Dispenza, connecting the ancient teachings of the East and recent understandings in Quantum Physics. He finds these modern scientific developments, such as the nature of the quantum field, allow those of us educated in the “western mind” to more fully understand and integrate the time honored teachings of Yoga into our daily lives. Surya-Chandra is a long-time student of Vipassana meditation and Advaita, the non-dual tradition of Ramana Maharshi, having studied with Ramesh Balsakar, Adyashanti and others. Surya’s teaching is a blend of the various teachings he has experienced and his own explorations. Nondual Awareness or Presence is the foundation of the retreats. Surya is interested in helping participants understand the depth and breadth of Yoga – that it is so much more than performing asanas (postures) and can permeate every aspect of our lives well beyond the retreat. As a yoga teacher he supports and encourages a student to let go of striving and becoming; to increase their capacity to live with conscious awareness of the wisdom of body; to be present for conditioning from a non-judgmental and somatic reference point; and to have the direct experience of our True Nature, allowing us to live from the natural joy, ease and openness of Being.